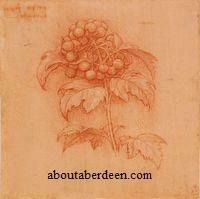 During the summer of 2006 Aberdeen Art Gallery hosted the exhibition of Leonardo da Vinci drawings from the 14th June until the 28th August. It was part of the Queen's 80th birthday celebrations. The collection was shown at only 4 museums and art galleries around the UK and it is such a prestige for Aberdeen City to have the collection shown at the peak of summer time. The dates coincided with the Royal Family's annual residency at Balmoral Castle and the Queen's official birthday on the 17th June. The images above and below are Copyrighted to The Royal Collection � 2005, Her Majesty Queen Elizabeth II and have been reproduced here with kind permission. The first image is A study of a woman's hands (c.1490) and the second is A sprig of guelder rose with berries (c.1505-10) by Leonardo da Vinci (1452-1519). 51,017 visitors went to view the da Vinci exhibition. The same dates last year saw 38,036 people visit the Aberdeen Art Gallery. This beat records set in July 2004 when approximately 50,000 visited to see the illustrations by Quentin Blake. This had in turn beat the previous record of 40,000 people visiting to see the Treasures of Pompeii. 6 July - Leonardo And His Drawings: An evening lecture with Martin Clayton the Deputy Curator of the Print Room at the Royal Library. Martin Clayton is the author of the book Leonardo Da Vinci: The Divine and the Grotesque. He discussed the many strands of his life. Deirdre Grant, Cultural Services Promotions Officer said: "We're thrilled to be hosting these magnificent works. It is a great honour to be part of the tour and play a significant part in The Queen's 80th birthday celebrations, and it is particularly exciting that Aberdeen is hosting it in the midst of the current global interest and excitement around his work. "These 10 works are among the greatest treasures of the Royal Collection and they are the highlight of our programme.  They are sure to attract huge numbers of visitors throughout the summer." Leonardo da Vinci (1452-1519) was the model 'Renaissance man', accomplished in painting, sculpture, architecture, music, anatomy, engineering, cartography, geology and botany. They are the richest, most wide-ranging, technically brilliant and endlessly fascinating of any artist. They demonstrate his belief that an image communicated ideas more accurately and concisely than words could. This current Ten Drawings by Leonardo da Vinci: An Exhibition to Celebrate the 80th Birthday of Her Majesty The Queen show was selected from the breadth of the artist's career and to demonstrate the extraordinary scope of his interests. These delicate works are preserved in the Royal Library at Windsor Castle and are among the greatest treasures of the Royal Collection, which holds the world's most important group. He famously left behind a very small number of completed projects. His sketches and notebooks do survive in comparatively large numbers, however, allowing an extraordinary insight into the workings of the artist's mind and the enormous scope of his interests. Through drawing, Leonardo attempted to record and understand the world around him. Martin Clayton, Deputy Curator of the Print Room at Windsor Castle and author of several books, including the exhibition catalogue, said: "We can often grasp the true nature of Leonardo's intentions only through his drawings." The other venues are The Royal Albert Memorial Museum and Art Gallery in Exeter from the 18th March until the 3rd June, Leeds Art Gallery from the 7th September until the 19th November and the last will be at the National Museum and Gallery Cardiff from the 25th November until February 2007. As part of this important historical exhibition there will be ten drawings from Her Majesty's collection that were drawn by the Renaissance master. They are normally kept at the Royal Library in Windsor Castle. The art work includes anatomical drawings from his examinations and dissections of corpses, designs for cannons, the bust of the Virgin Madonna and botany illustrations and paintings. The mediums used in this collection include pen and ink, brush and ink, metal point, and red and black chalks. The last time Aberdeen and Scotland hosted his work was in 1985 when the Codex Hammer drawings were shown. This collection included his sketches of a submarine and a snorkel and associated writings. The work had been bought at auction at Christie's by Occidental owner Armand Hammer. The director at the time, Ian McKenzie, wrote to Armand Hammer asking if the art work could be shown in Aberdeen. Part of the condition of the auction sale, because the artwork was being exported, was that the artwork would have to be shown in Europe every year for a three month period. The artwork is now owned by Bill Gates after Dr Hammer died in 1990.